In the previous post we've looked at mobile payments in a glance, why there's a huge chance today and what are the biggest challenges. In this post I will start diving deeper into them, and suggest a few ideas. There's a group of very talented guys I know, who used to work at this IT Company in Israel that was a part of the mobile industry. They basically made some peripherals, a few applications and other mobile related products. One of these products was a relay to transfer contacts from one cell phone to another, in case the owner wanted to upgrade or downgrade (yes, there are people who do not have smart phones and Outlook sync). When, at some point, they started their own company to manufacture and sell a similar relay, they found a very interesting (well, in a sense) thing: a huge chunk of their dev and QA time was not spent on improving the product; instead, it was spent on porting - making sure that the software matched all cell phones out there. This is the time when industry experts read and think: "what else is new?" (And also: “we don’t have this problem now with the iPhone!” Yes, you do. But that’s for the next post). This is not at all new; what I’m trying to relay is that the world of mobile is a heterogeneous, fragmented, diversified world. And even if one day 3-4 smart phones rule the world (not anytime soon), the market will still be fragmented between operators. Currently, for any mobile service providers, the operators are one of the main concerns. 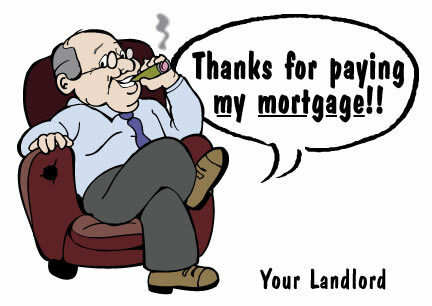 They are the landlords and princes of the mobile world, they set the rules and regulation and they charge killer fees. How do payment companies circumvent that? How should they? If you want to bill users through their mobile device, with the existing implementations, you have no way around operators. All major companies that I know of have operator relations, and they expand either by signing directly with operators in new countries or with local partners that already have signed agreements. Mobile payments companies proud themselves on their reach - numbers of countries, and percentage of coverage in each country. Right now, it seems that Boku is gaining more momentum with new carrier relations; it’s a good question, however, where will this battle be won. The EU has low credit card and high mobile phone penetration, making it ideal for mobile payments; it is also starting to have better and better technical implementations for payment services. On the other hand, it is a highly regulated continent with harsh rules and regulations that make the mobile service provider’s life quite difficult. Asia is a great opportunity, with a crowd very accustomed to buying virtual goods and using mobile phones; however, it is dominantly a prepaid segment, where user identity control is very difficult, and again – very challenging regulation. Finally, the US is a market where mobile service companies cannot decide themselves whether they’ll focus on creating an iPhone app or settle for using the rather underdeveloped SMS billing capabilities the networks can currently offer. But to even get in the game, you need to be able to have signed agreements with the operators, the landlords: a challenge in itself. Let’s look at regulation for a minute. Zong, a company with years of experience in mobile integrations, rightfully proud itself in a highly skilled regulatory team that “complies with all operator regulations”. Why is that? Reading the MMA's policies reveals an intricate, sometimes vague definition of what's right and what's wrong in mobile offerings (and yes, offer walls have gone under this radar for very long). Same goes for Phone Pay Plus's regulations in the EU; providing apparent, easy and frequent opt-out options, demanding explicit user content for every new offer and additional rules and regulations makes sense - they force all offers with no real value off the system - but also create a huge challenge for legitimate services to keep user stickiness and not get shut down. Regulation doesn’t stop there: in India, for example, one of the most common claims I heard is that the ever-changing regulatory definitions are the main barrier to the mobile banking industry from exploding. While you play on the landlord’s ground, though, you have to abide by their rules. Lastly, the fees (the real treasure). Operators eat up to 50% off mobile payments, and there's NO beating this either - until good enough alternatives start emerging in various markets, operators will have no incentive to lower their share of the cake. True, mobile payments probably have better conversion, but seeing your margin cut so brutally by fees will drive publishers and merchants off the payment platforms unless they have very lucrative offers, or manage to renegotiate fees. So – if you’re a mobile payments company, how do you solve this predicament? Basically – you don’t. You work around it. How? First – you stop referring to mobile payments as a product, and start treating it as a feature. Instead of selling the ability to bill the user’s mobile phone bill (basically turning the mobile payments companies into resellers of the operator’s services), sell the ability to pay using a mobile phone, regardless of where the actual money is. This way, mobile payments are a user acquisition channel rather than a complex product – and you get to keep the best parts of it. Second, make your service lucrative by offering merchants a customer base that’s used to using their mobile phone for everything. As I’ve noted in the previous post, the customers in the digital goods/social gaming segments is perfect for getting traction for alternative, fast payment methods. In addition, because of the effective offers system, user acquisition dynamics might even be a bit easier than average. This is also where high conversion beats high fees, at least long enough to reach a critical mass of game publishers – the ones with high margins and a desperate need for high ARPU. But this paragraph is old news for mobile payments companies – they all power social games and virtual worlds. The third part is the most complicated one. If, after the first two conditions, mobile payment companies connect digital goods publishers with a tech savvy customer base, the question left is how you power the system – how do you make payments happen? Powering via operators is old news. We’ve looked at it – it doesn’t work well. Left at that, companies can basically choose two business models; in the first, their forte is user acquisition and experience – and their payment can be powered by a 3rd party. PayPal’s X platform, for example, is basically tailor made for this type of business models – and with a lower take rate than operators (like it? I like it. I call this the “wake up and smell the front office” option). In the second, though, companies need to become a real payment service – an enabler of tricky payments through technology and risk management. In the next and final post we’ll look at some technological and risk management issues that underlie this kind of decision (or, in other words, why it’s plain hard). Again, I would like to tank Yuval Samet for aiding with this post. P.S. Why aren't you mentioning Paypal? Well, can't ignore the 500 pound gorilla (and my esteemed employer). It’s obvious that if and when PayPal decides to take on mobile, all it will need is a pleasing mobile user experience – everything else is already there. That’s why it’s pretty interesting to actually look at what the new players need to overcome. Any take on Square yet? Working on it. What a cool idea, though!